The Christmas Guys™ have finally entered the wedding and events decorating world to provide smiles and top quality professional decorating all year long. After so many requests year after year from our clients, network, family, and friends we have decided our decorating skills, talents and our overall attitude is wanted for more than the Christmas season. And in typical Christmas Guys™ fashion we entered the wedding world with a splash! After spending countless hours researching and talking with wedding planners and event coordinators our decorating minds began running. We knew what others in the area are doing and we found out what people were craving to have. 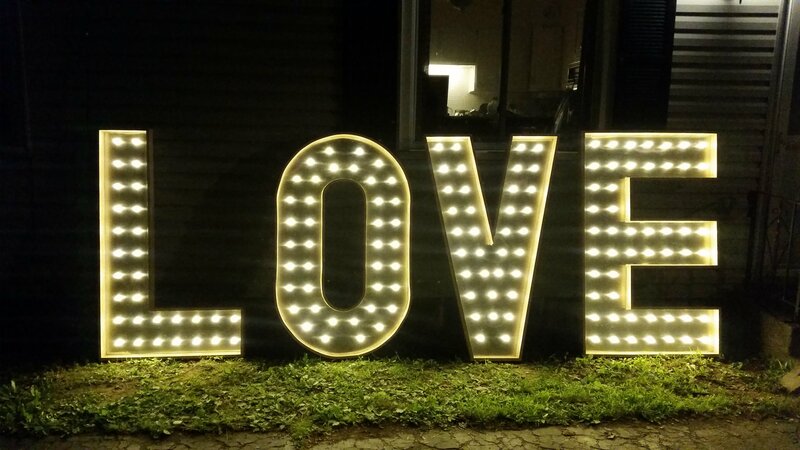 With a few other big things coming through the pipeline we have released our first marquee lighted letters available to rent for your wedding and special events. 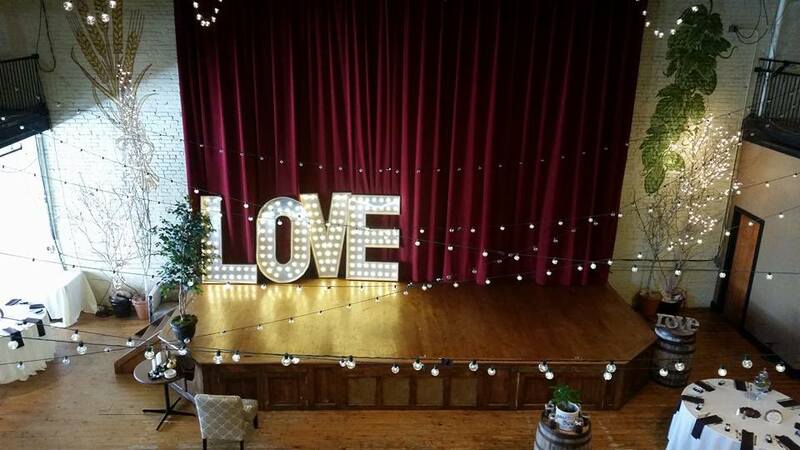 We decided the first offering of our event and wedding decorating would be some amazing light up marquee letters, specifically the word love. If you are already familiar with the Christmas Guys™ you know we make sure what we do is the best and that determination has created our reputation that has grown our holiday professional decorating clients from the average Joe to local and Hollywood celebrities. We saw some letters for sale that were small, 1 to 2 feet and a few that were 3 feet high. We weren’t impressed. We knew we needed to make our own letters if we wanted them to look how we envisioned. We have created our handmade lighted love letters that stand at an impressive 5 foot tall and used our highest quality lights that we use in our Christmas decorating, the results are breathtaking. These letters create a beautiful focal point for your event and naturally attract your guests to take selfies and family pictures in front of. While we know LOVE is the most popular we also can create and letter, number, etc you would like to have at your event. As these rentals are handmade by the Christmas Guys™ we ask that you put your request in as soon as possible so that we can create what you need in time for your special day, memorable birthdays and special anniversaries. Ready to reserve your Lighted Marquee Lettering? Great, we can’t wait to work with you. Just head over to our Light Your World page and fill out the form or give us a call to discuss your event and book your rentals today.